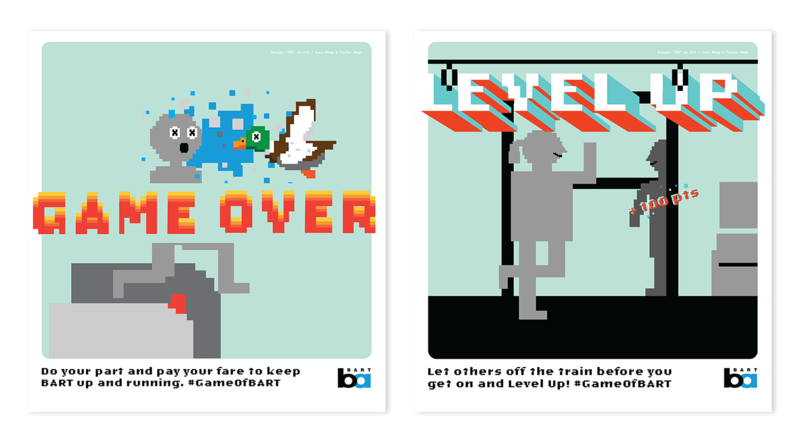 Bay Area Rapid Transit is a fifth busiest rapid transit public transportation system in the United States. 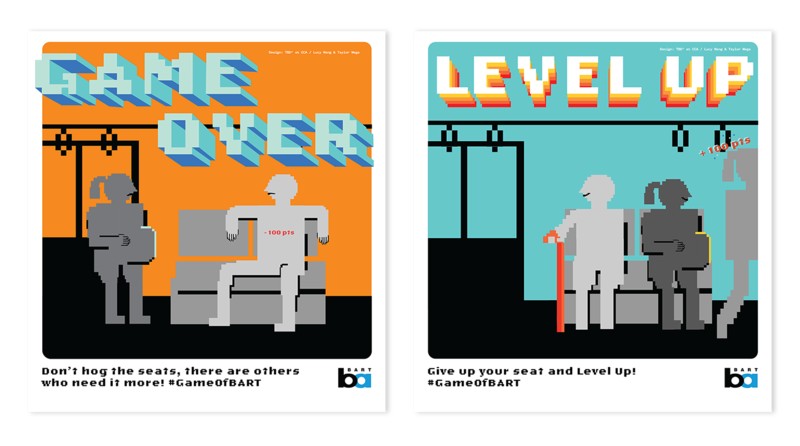 It serves the Bay Area in California, connecting San Francisco with cities in Alameda, Contra Costa, and San Mateo counties. 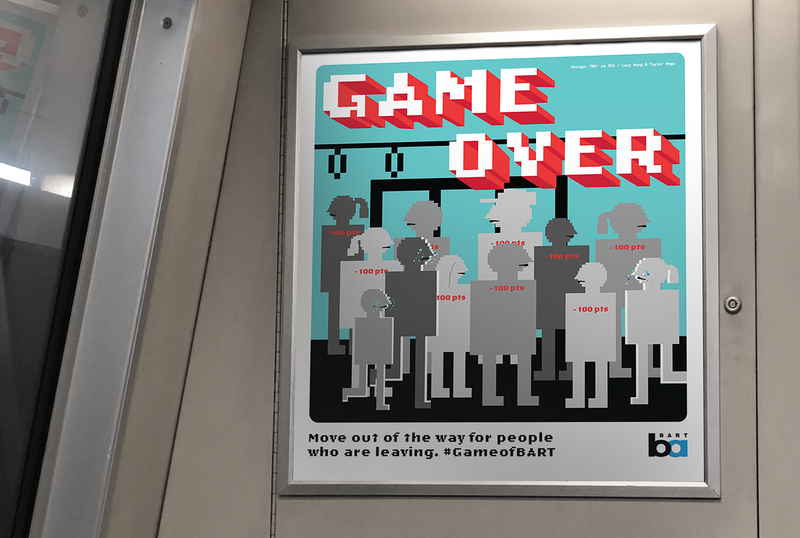 In its fiscal year 2017, BART has an average of 423,000-weekday passengers and 124.2 million annual passengers. 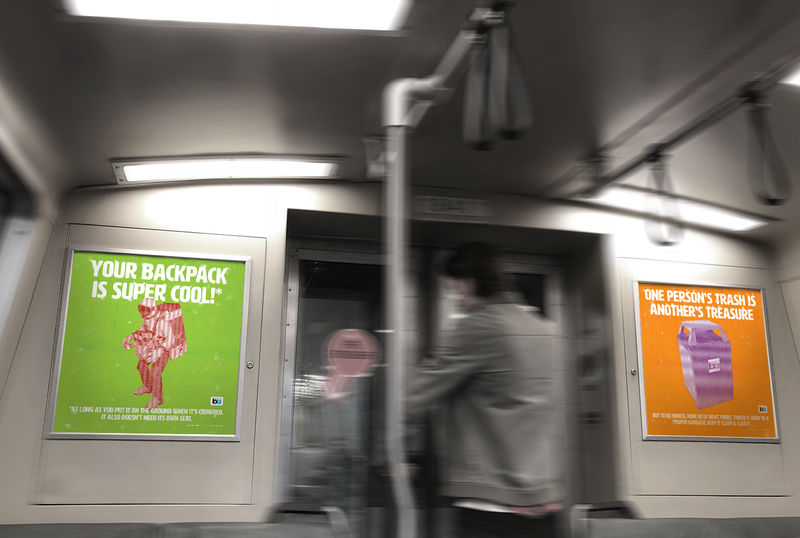 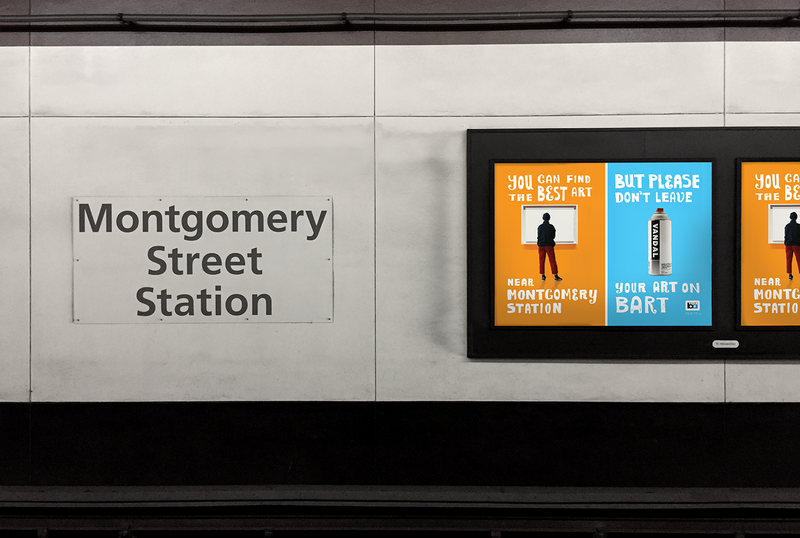 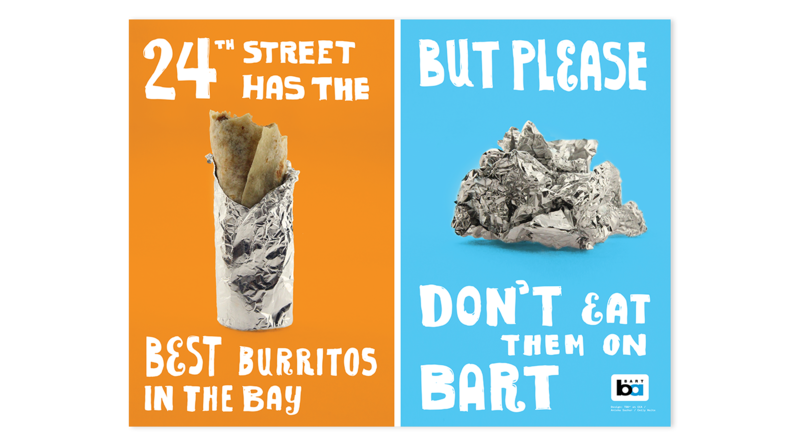 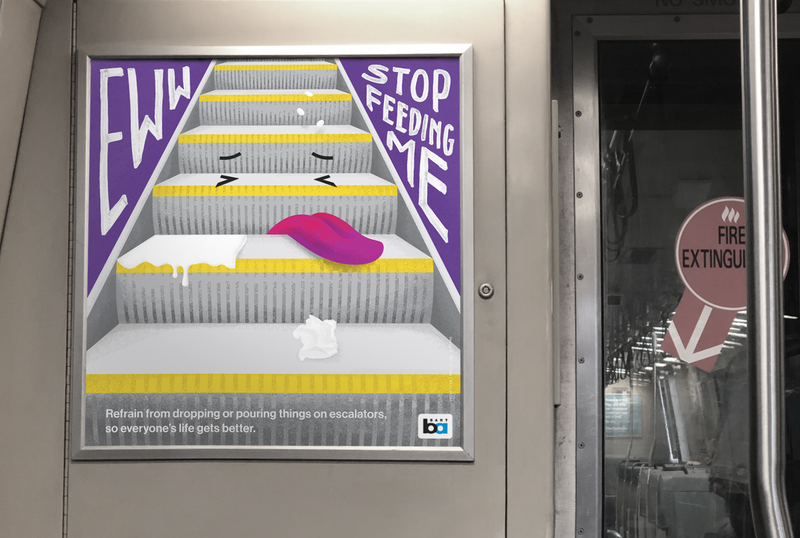 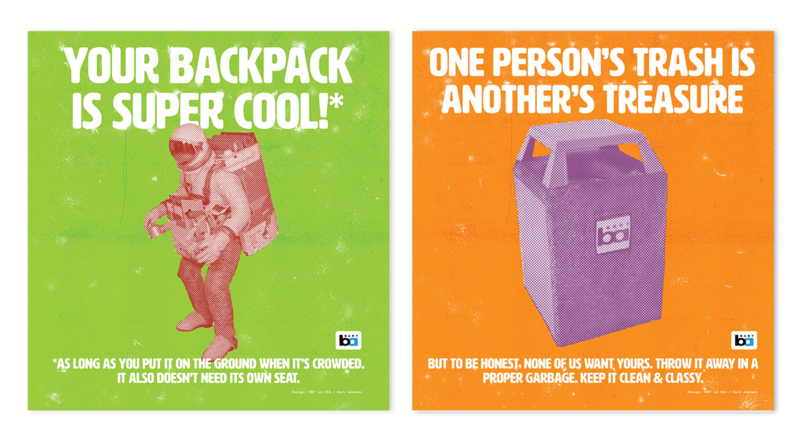 With a list of customers complaints, BART asked us to create a fun, cheeky, buzz-creating campaign that encourages behavior change or cooperation. 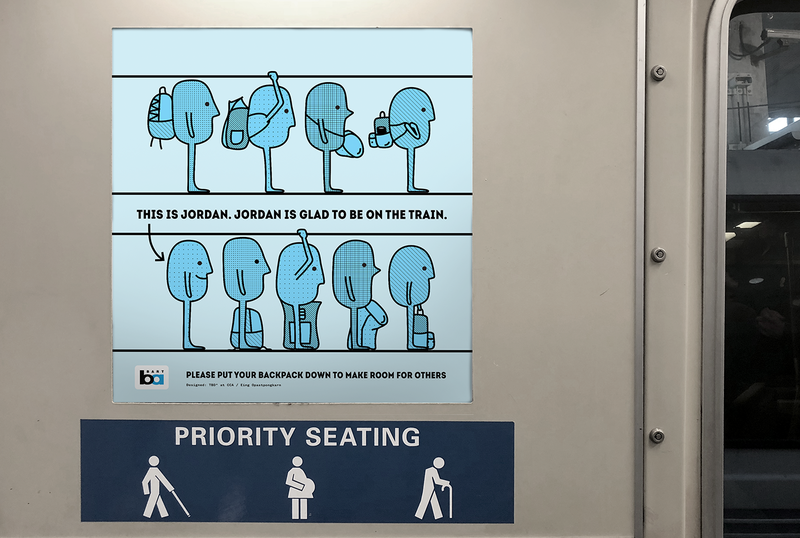 As BART riders ourselves, we are motivated by the aspiration to create a more inclusive, friendly riding experience in BART. 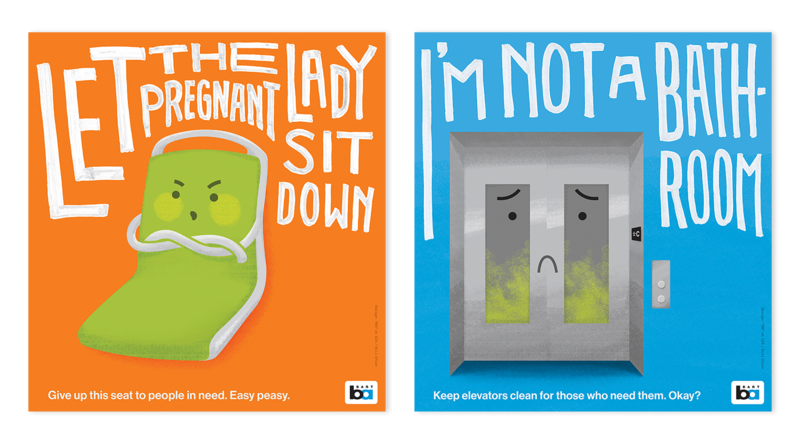 After interviewing BART passengers and brainstorming together with BART employees, we produced various themes of in-car posters that address courteous messages creatively.